CFTC has joined the Aid4Agriculture Coalition to advocate for Canada’s support for sustainable agriculture and climate change adaptation for small-scale farmers, especially women, in the upcoming federal aid budget. 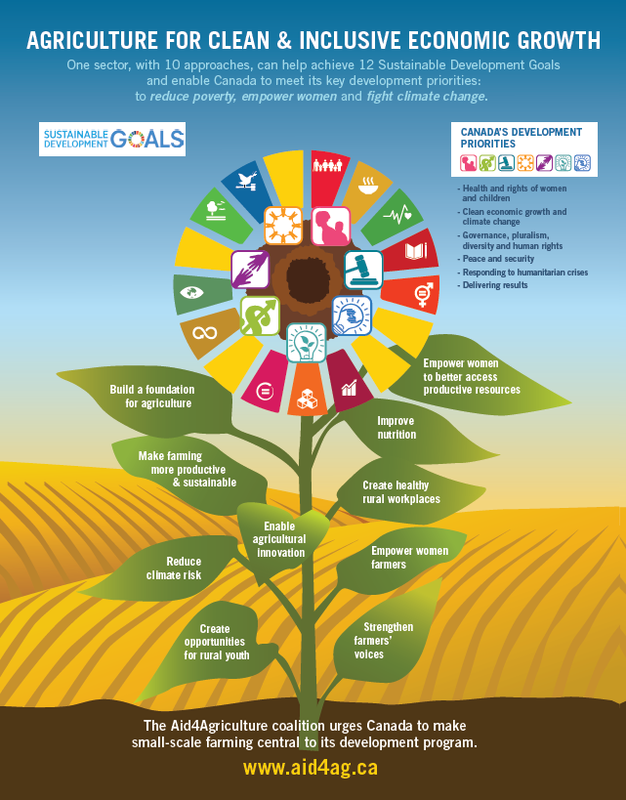 Ten agricultural strategies (pictured on the infographic, below) will help Canada stimulate clean and inclusive economic growth, take action on climate change, advance equality for women in agriculture, and support the world’s poorest and most marginalized people – including the more than one billion children who live below the poverty line around the world. The Aid4Agriculture Coalition is rolling out a multi-faceted campaign in late September and through the rest of 2016, with a special focus on reaching MPs and other public representatives to request that Canada make a signature investment of $2.5 billion over five years for international assistance aid to smallholder farmers. The investment would be implemented through various channels (multilateral, bilateral, other development partners) with new funds for agriculture as part of a growing aid budget. agricultural development is at least twice as effective at reducing poverty as growth from other sectors, and climate resilient agriculture helps farmers adapt today while reducing emissions for tomorrow. Clean and inclusive economic growth as well as meaningful action on climate change are not viable without a sustainable agricultural development strategy. Women play a critical role in agriculture in developing countries, but are too often held back from reaching their full potential. 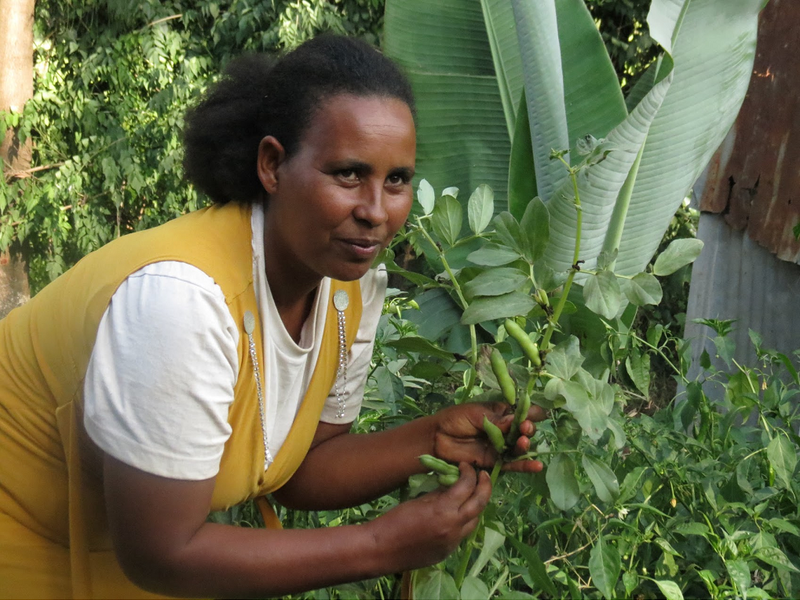 Equality for women in agriculture would boost the economy, strengthen climate resilience, preserve and enhance ecosystems, increase yields, and improve food security and nutrition. It is time for a strong Canadian investment to recognize the important role of women as food producers and support them in ensuring their full economic and social inclusion. A renewed investment by Canada in agriculture should focus on small-scale farmers, who are among the world’s poorest and most marginalized people, and are especially vulnerable to climate change. Targeted initiatives with these farmers will have the greatest development impact. Canada can support women as change-makers who transform their communities and countries. Canada can help address food security in a more uncertain climate. Canada can help build a more peaceful, prosperous and secure world that will reduce long-term reliance on humanitarian aid. The Aid4Agriculture Coalition’s recommended ten strategies for clean and inclusive economic growth are pictured on the leaf in the infographic below. To read the full paper, please visit aid4ag.ca and download the paper. And please do keep an eye out and join the #aid4ag campaign on social media – speak up for women, farmers, a clean environment and food security for all!